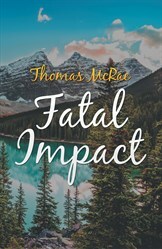 This book is a collection of poems by Thomas McRae. It has 44 poems in total.If you buy this book expecting a contemporary style of poems, you would be in for a surprise because it isn't the usual ones but has been penned in a different style(more like a short story). The outer cover is real good and so as the pages as each of them has a pleasant background image. It was really thoughtful of the author to dedicate few of his poems to the people whom he consider/considered special/deserves a mention in his life. Both are very much relevant to the present world and while the former is much revered as it would bring positive impact on the lives of the people, the latter would reverse all the good vibes which is still prevalent in many parts of the World, though author has pointed out its existence in the U.S.A.